The possibilities are endless!!! NOT MY CARVING!!! 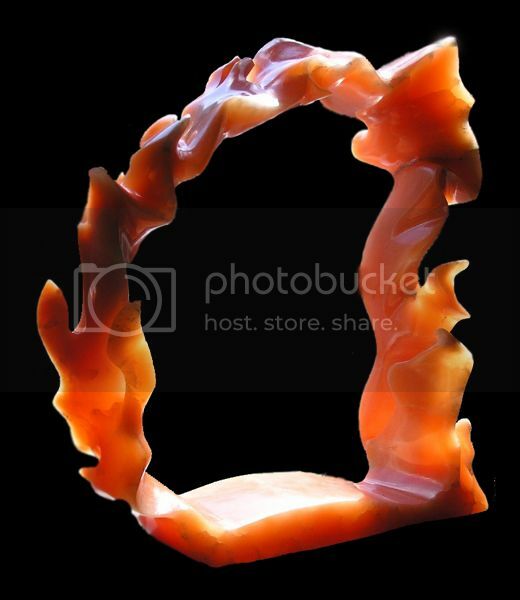 This is a four color stone carving. All one stone and no dye or stain. A very expensive Chinese carving. 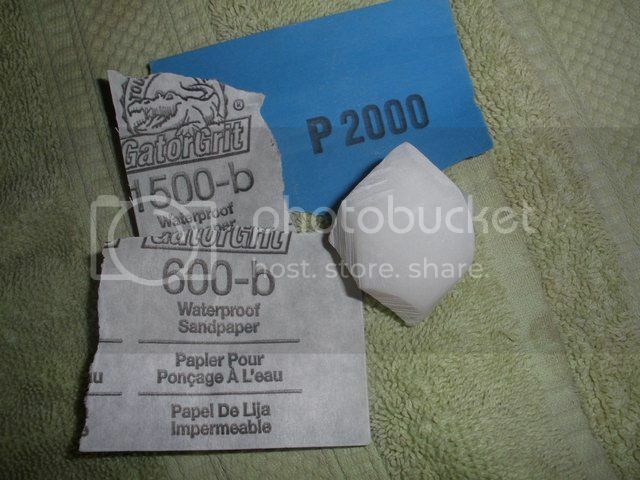 No price tag. My friend would price his carvings according to what cloths the customer was wearing. Very typical in Chinese art shops and small markets. RocknCritter (Richard) brought up a good point so I added more to the tutorial because it was lacking some very basic stuff. I hope this makes things much more clearerer. I knew I was missing something. It just took a 2 X 4 to get my attention. My point of view now is that soapstone that is available here in America is about the same as dirt. 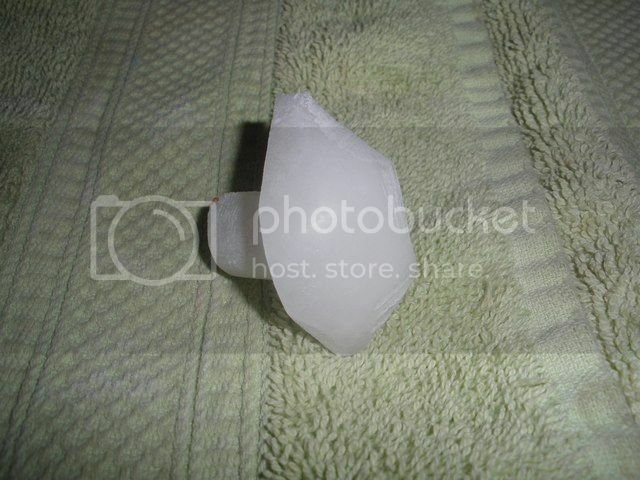 I say this because it is very easy to damage it just by hitting it with a fingernail and sharp corners will crumble. Montana soapstone will hold a corner better but most of that stone has a lot of fractures. It is possible to work the fractures with Krazy Glue ahead of your carving. If you have a cheap source of soapstone then give it a shot but if you are spending money on your carving stone I would recommend alabaster. I would bet a pickle that you will end up working alabaster anyway and it is really not any harder to carve than soapstone. Then you will end up with a carving that you can hand to your friends so they can have a close look at it and not worry "as much" that it will be scratched with a fingernail or ring. Do not get me wrong and think that alabaster can not be scratched with a fingernail or ring so some caution should be taken. If you want to stay completely away from accidental scratches then you need to move up to marble. The problem there is that you will be working with hammer and chisel or power tools. I do not feel that marble is a good place to start but I may be way off base there since this is my first teaching job. 1. Soapstone is 1 on the mohs scale. No sharp edges. Need to use wax for a good shine. I recommend bees wax. 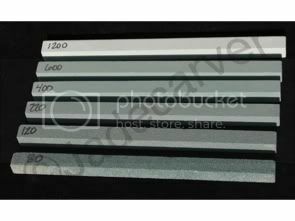 Heat the stone in the oven set on about 200. I do not remember how long I left the stone in the oven but give it enough time to get pretty hot. Use an oven mitt to take the stone out of the oven and set it on an old plate or something similar. Rub the wax all over the stone. If it does not melt easy the stone is not hot enough and the wax will not penetrate good enough. When the wax starts to get a film on the surface take a soft rag and rub like crazy. I like to use an old towel because it protects my hand from the heat and it is big enough to hold the stone in one hand and rub with the other. Lots of caution here. If the stone is big it will hold the heat for a long time. Do not worry about over heating the stone. 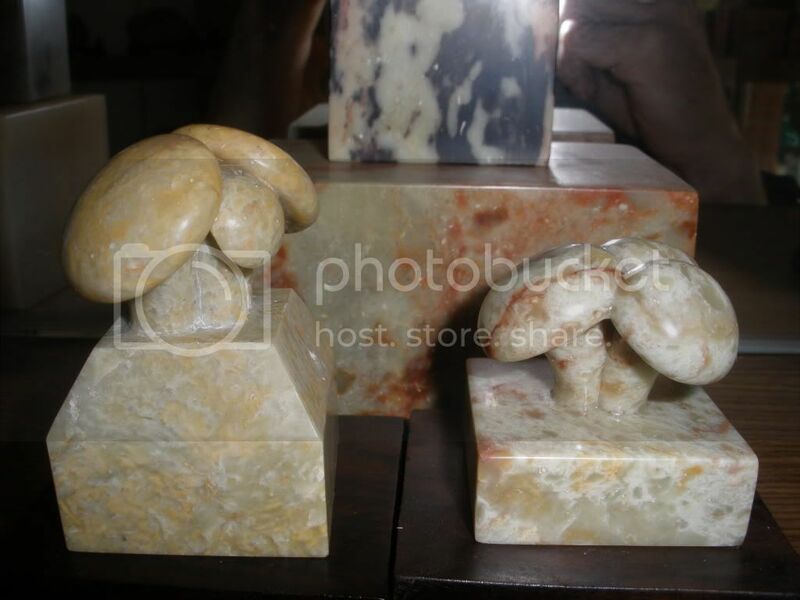 Soapstone and alabaster are not affected by heat up to 3000 degrees. Chinese soapstone here and it was junk. 4. Marble is 3 to 5.5 on the mohs scale depending on the type and abundance of silicate minerals. Difficult to polish tight areas but it will take on a super shine with a lot of elbow grease. 5. 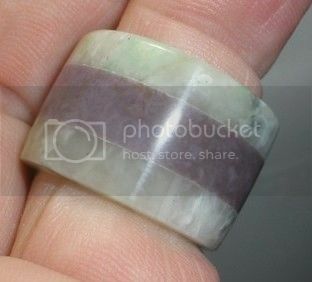 Beyond my experience except for making nephrite and agate rings which I shaped and polished the same as a cab after using core drills to make blanks. 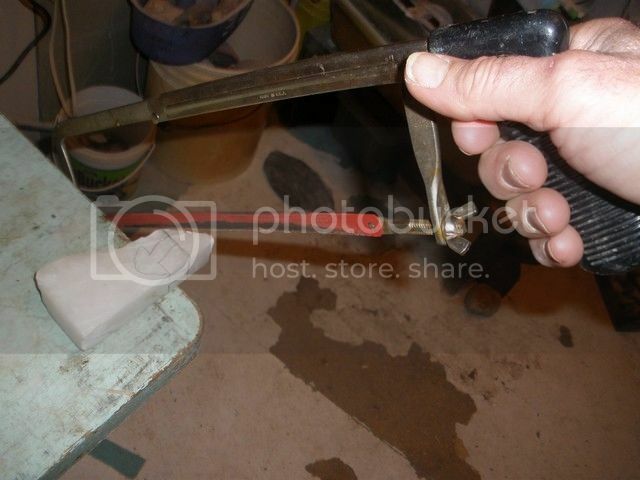 The tools used for carving soapstone and alabaster can be anything metal. I bought several sets of cheap wood chisels (6 for $1.00) and ground them to several different widths. I sent a couple of small stones to UncleStu and he found that a potato peeler worked great for smoothing. lol I also like the metal clay sculpting tools for tight places. I sharpened them then wrapped them with string so they were easier on the fingers. There are a couple of different types so buy the stiffest ones. Be creative. A short length of number 9 wire flattened on the end and sharpened will work also. The stone will dull the edge so resharpen frequently to make the carving easier. 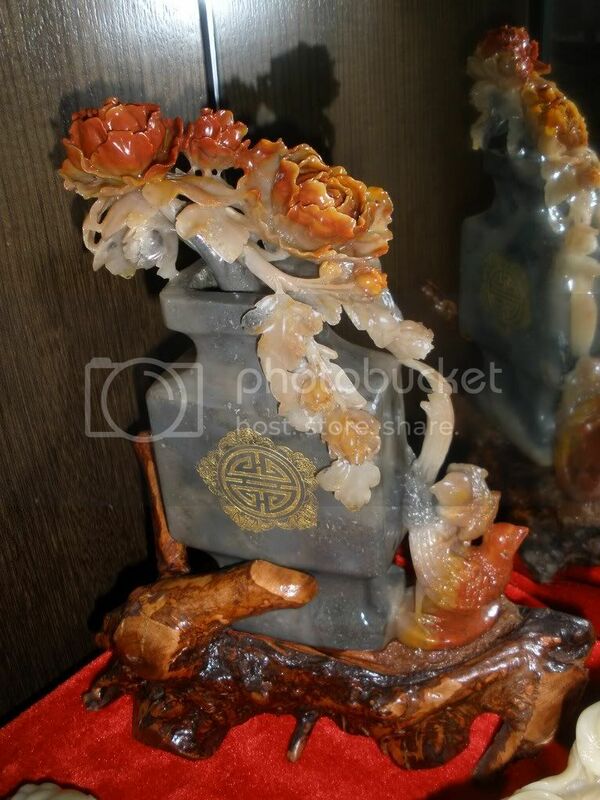 I have not done much carving with power tools but I spent a lot of time watching a stone carver in China. Water is an absolute must for cooling no matter how hard the stone is. A water drip is pretty easy to set up from a faucet but if you are doing a lot of carving the water bill can go way up. The best way is to use a small pump and recycle the water. A tiny fountain pump will work great if you are not trying to pump to high. I use a swamp cooler pump because that is what I had on hand. In China I used a faucet and floor drain but I was not paying for water. I drilled a hole through a short piece of dowel, forced the dowel into the faucet and forced a 1/4 inch plastic hose into the hole. It works great if you do not turn the water on too high. I usually carve from the top down but this is just a personal preference. Be careful when using something like a rasp because the deep scratches can end up being much deeper than you wanted to go. You can always take more off but it takes a magician to put more back on. 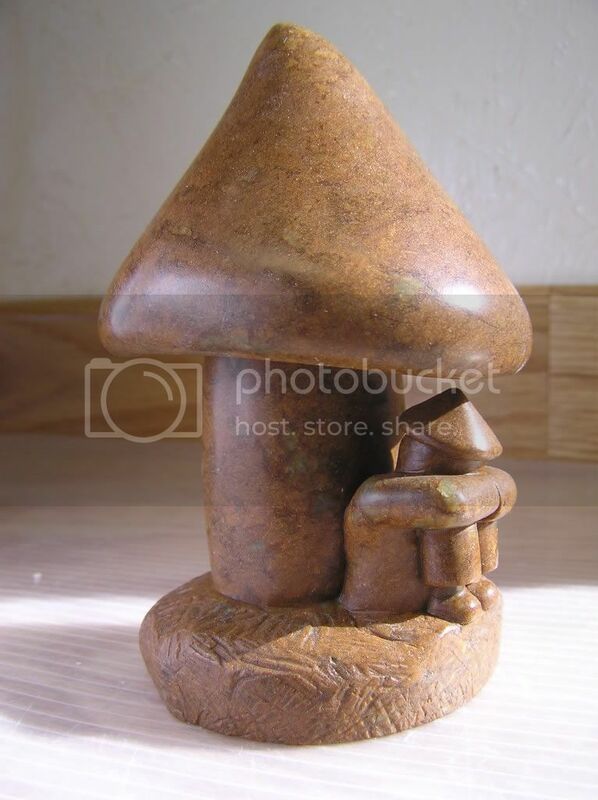 Mistakes in carving means getting another stone and starting over. I am probably forgetting some things that I should put here so I will update whenever my brain wakes up. Krystee came up with some very good info that I thought should be added to the tut. You can ask him questions at jadecarver@jadecarver.com David Clayton's a great guy! 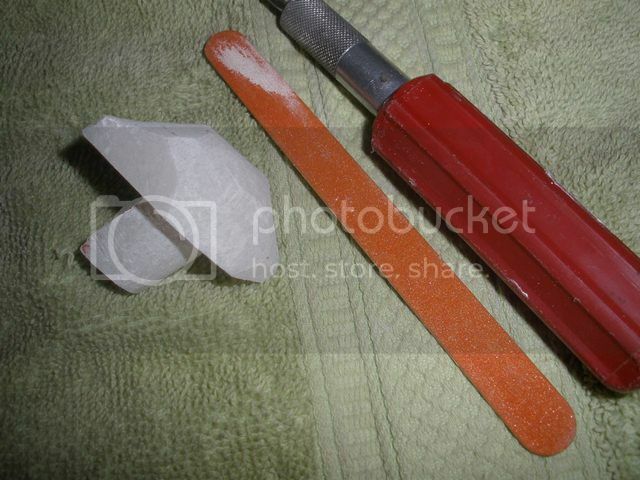 Some of the tools that I use for carving soft stone. An Exacto knife blade drug backwards works very good for detail work. On the left is a carpenters rasp and I use it a lot for shaping. It can be purchased at almost any hardware store. It has four surfaces. Course and fine convex and course and fine flat. For me it is indispensable. Next is a wood chisel. I have several widths and use them a lot for smoothing larger flat surfaces. 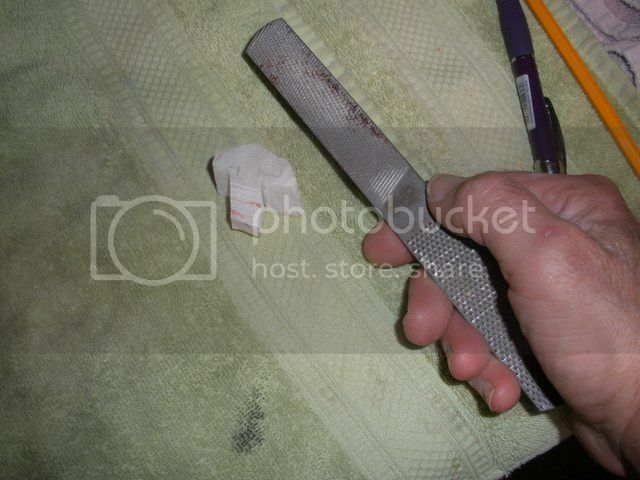 The knife is out of the kitchen and can be used for scraping or the point can be used for detail. The exacto knives are good for shaving or scraping and again the points are good for detail if you drag or push the point backwards to get a small groove like around eyes. The next three are cheap wood chisels that were bought in sets at Harbor Freight. They come in different shapes and are good for detail work. 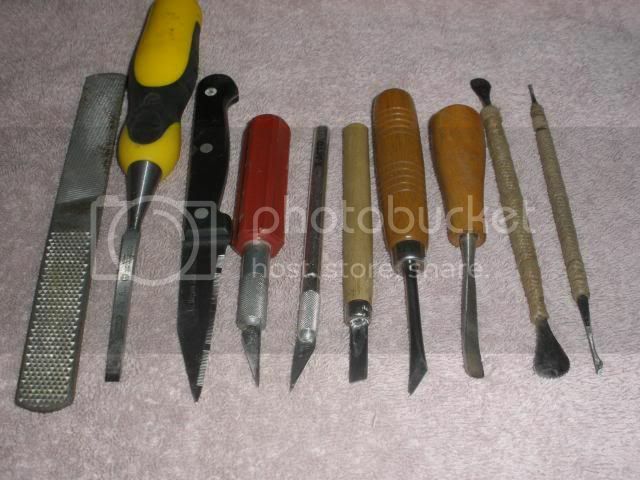 The last two are clay sculpting tools. I wrapped the handles with string and super glued the ends. The string gives you a much better grip and makes it much easier on your fingers. They come in a bunch of different shapes including grooves for carving hair. 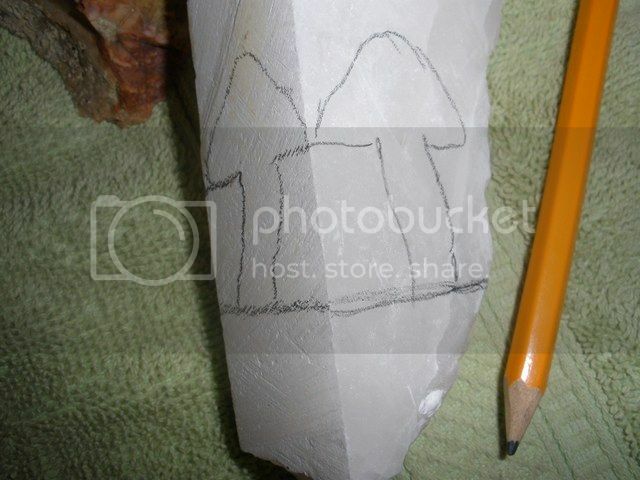 This photo is of a piece of alabaster that I have drawn a rough picture of what I want to carve. This is not always possible but in this case I can remove a lot of material quickly. Here I am using a metal saw to cut away what I do not want. You can buy just the blade and wrap tape around half of it to protect your hand. Once I have the form rough cut I will use the rasp to do a lot of the shaping. Once I get the shape fairly close I will use an emery board or exacto knife to do some smoothing of the rasp grooves. From there on it is sanding and polishing. I started with a course or 150 grit and work it up to 2000 grit. I always sand wet and do it either under a water drip or in a tub of water. 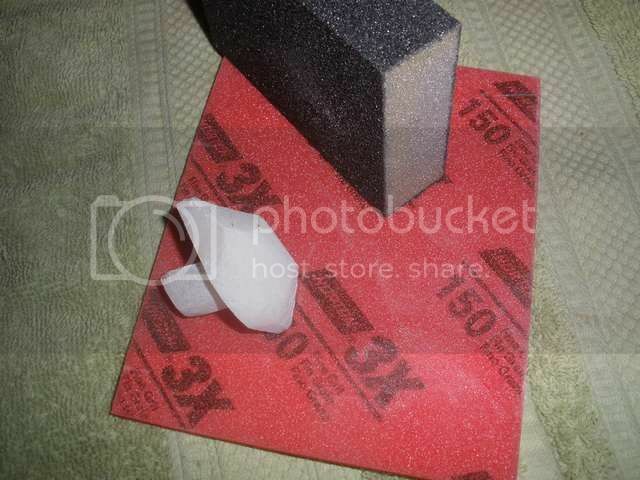 It does not take a lot of water but it keeps the dust down and cleans the sandpaper as you work. 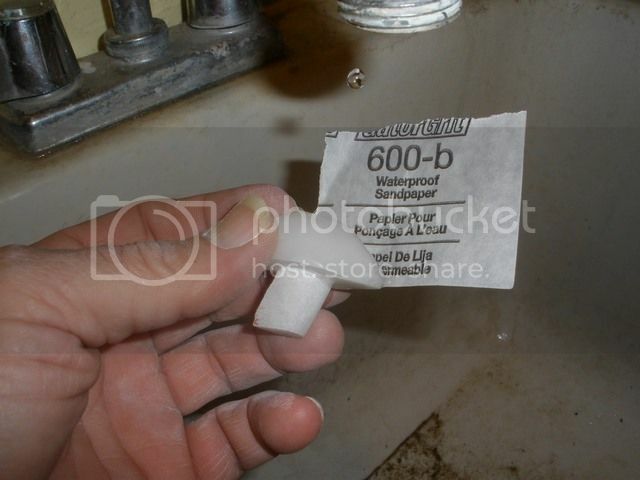 Make sure you buy wet or dry sandpaper. 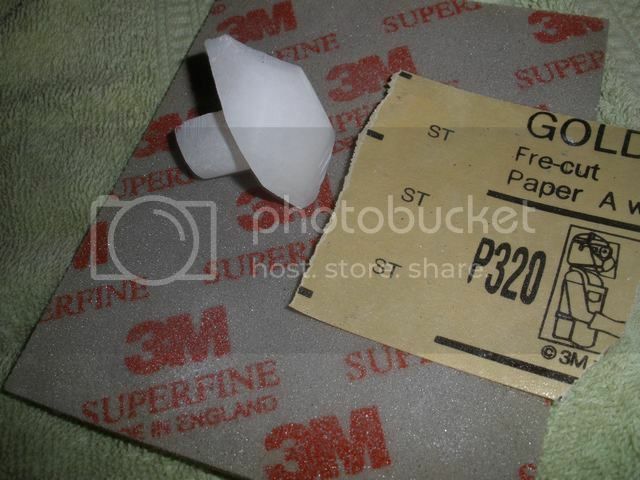 Sandpaper 600 grit and finer is a little harder to come by but you can get it on the net, high end hardware stores and stone supply stores. I just worked one corner of the stone to save time so you will have to imagine a nice round and shiny mushroom. If you have any comments, suggestions or questions please fire away. I am here to learn as much as to teach. Carving is a lot like meditating and you will forget everything that is going on around you. Just do not forget your spouse for too long because I refuse to be held responsible. Good to see it transferred. Now we slowly got a place to send people to. Awesome! Keep the tutorials coming!